Now booking for the remainder of 2018 & 2019. Reserve your date early! Your cake is an important part of celebrating your special occasion. I can help you develop your ideas into a elegant and great tasting cake that will be remembered for years to come. 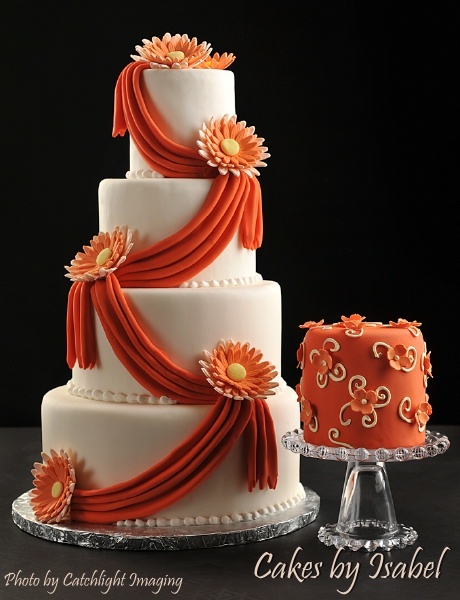 You can choose among a variety of delicious flavors and frostings, including buttercream and fondant. Add a flavored filling to give your cake an extra special touch. 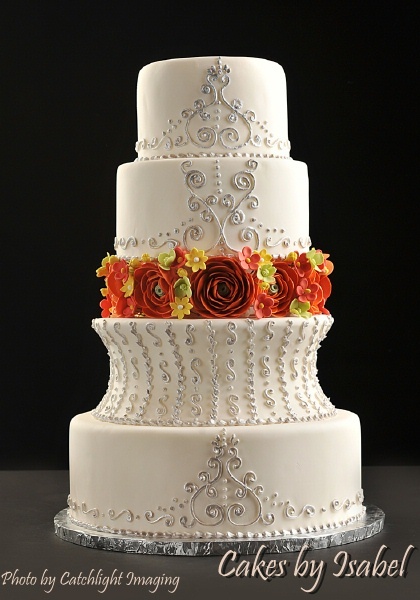 You can have many beautiful and creative decorations on your cake including drapes, hand-made flowers, and luster dust accents to bring your decorations to life, I will work with you to create a unique cake with your choice of gumpaste flowers, silk flowers, or live flowers. I have been decorating cakes for over 30 years. I constantly work to learn new techniques and trends. I am also a member of I.C.E.S. � International Cake Exploration Societe. My specialty is handmade gumpaste (sugar) flowers. These beautiful, porcelain-like flowers are edible, but many people choose to save them for years to come. I invite you to browse through my web site to become familiar with my work. Give me a call to set up an appointment and to reserve your date. Together we can develop the cake of your dreams.